Physical therapists are licensed medical specialists who examine, evaluate and treat patients with conditions such as back pain, neck pain, burns, wounds, sciatica, whiplash and wear tear arthritis, osteoporosis, developmental disabilities, carpal tunnel syndrome, and other various conditions that affect their ability to move freely without pain. They are evidence-based health care officials offering cost-effective solutions to improve motion and relief pain. Physical therapy is one of the essential components of pain management and involves blending physiology with exercises that improves flexibility, balance, coordination, strength and endurance. An extensive consume research conducted nationwide suggests that while seeking medical solutions, patients with chronic pain look for improved mobility and motion, an alternative to surgery and the ways for reduction of prescribed medications. The quality of a patient’s life is determined by their ability to move freely. Everyday task such as doing the dishes, lifting books to study, a sports activity like golf, or important activity including performing the job – every task needs motion. A physical therapist can help patients experience improved mobility, motion and function. They also help prevent minor or fatal injuries and promote a healthy lifestyle by building more strength, flexibility, balance and coordination. Surgery is the most recommended course of treatment for certain diagnoses. However there are several evidences to prove that physical therapists can indeed offer an alternative to avoid surgery. They can enhance the outcome both before and after the surgery, when there is a need for one. Physical therapies are also valuable to individuals whose health conditions prevent surgery from being an option. With the methodology taught by a physical therapist, patients can control pain effectively, thus reducing the need for long term use of prescribed medications management of pain and certain other health conditions. Many studies have in fact revealed that patients who receive regular physical therapy experience better improvement in function. Physical therapy is a multidisciplinary pain control program in the healthcare system, introduced to restore balance in the body by imparting education on posture, pace, exercise, physical activity and manual therapy. A physical therapist will help design an affective pain management plan to fit the patients’ need, circumstances, situations and body type. Serving as coach, they can help improve problem solving skills, decision making power and better physical activity. They can help patients to believe in their ability to take control over the pain. Physical therapy, whether performed alone or combined with other treatments are essential to help reduce and manage your pain and sustain your long-term recovery and prevent future recurrence. Are you suffering from chronic pain and are looking for alternative to medications and surgery? We suggest you visit pain management clinic Los Angeles today. With double board certified and skilled staff and physical therapists at Los Angeles pain management clinic, you can find all the answers to your pain under one roof. Drug or medicine overuse can be accidental and in some cases intentional. They usually occur when a patient takes more than the prescribed dose and consequently their metabolism cannot detoxify the drug properly. There are people who are more sensitive to certain medications and hence high doses could be life threatening. They can affect people of any age and is most common in young children and teenagers, an adult with mental disabilities to those in the mid 30s. While young children may swallow drugs accidentally owing to their curiosity, adults may ingest incorrect medication, or in some cases overdose purposely to get high or to harm themselves. Research suggests that people respond differently to medicine or drug overdose. The treatment is therefore tailored to suit the individual’s body type, preferences, circumstances and needs. Drug or Medicine Overuse effects on the entire body overall and could be lethal and place your life in danger. Some may trigger a person’s chronic disease. A person may suffer from sleepiness, confusion and coma, and the situation gets worse if the vomit is breathed into the lungs. The skin may feel cool and sweaty and at times absolute hot and dry. They could lead to chest pain and malfunction of heart and lungs. Breathing could get slow, deep, rapid and shallow. Occurrence of abdominal pain is possible and symptoms such as vomiting blood, blood in bowel movements, diarrhea could affect your daily routine. They all depend on the drugs as each of them effects specific organs. Should you suffer from drug or medicine overdose, the first thing to do is call 911 or, your doctor to determine the seriousness of the condition. The specialists will have a thorough history and physical exam, lab tests in order to find evidence of poisoning. The process is followed by drug screening to understand the specific drug levels in the blood. It’s highly recommended that family members and associates should be available to provide information to the doctor with names of drugs, amounts consumed and the time frame of overdose. The doctors may use gastric lavage to mechanically remove unabsorbed drugs from the stomach. A patient is then given activated charcoal to help bind drugs in the stomach and intestines. This is followed by the evacuation process in the stool from the bowels. They may ask the patient to get intubated in the detoxification process to help him/her breathe and protect the lungs simultaneously. Depending on the overuse, other medicines may be needed as an antidote to reverse the effects to prevent any more harm from the drug that was initially ingested. Once the treatment is performed, the doctors may recommend home therapy and observation. Regular visit to the doctor is mandatory for a routine follow-up after the treatment to ensure no delayed injuries have occurred to any organ system. This also helps in discussing prevention and further safety of patients. For people who take a drug overdose to get high are required to get psychiatric help in addition to poison management. You can avail detailed information and assistance on medicine or drug overuse from Double Board Certified Los Angeles pain management doctors. 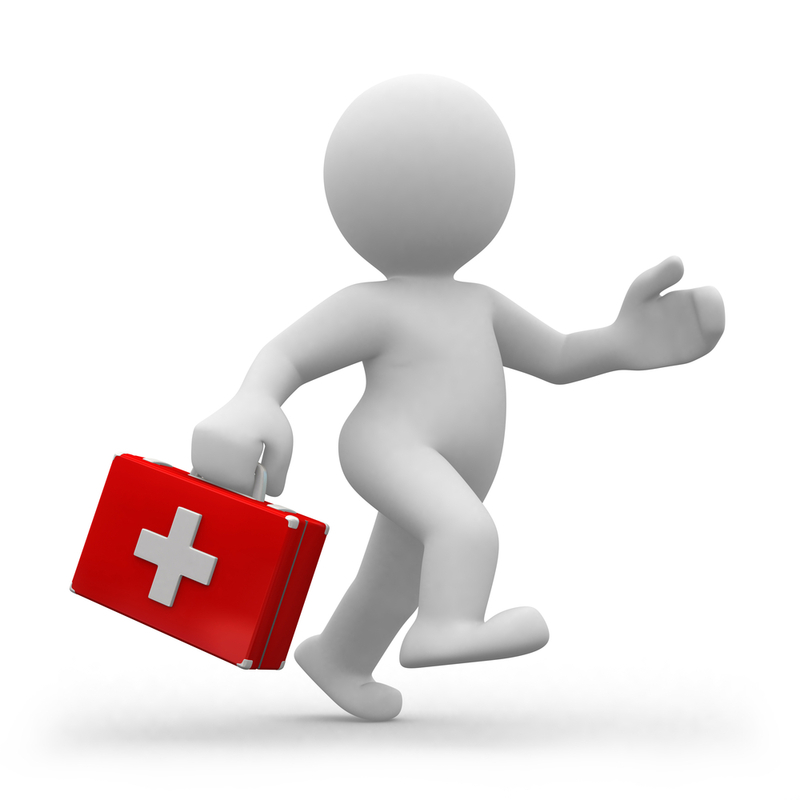 Next time, in case of emergency make sure you call pain clinic for a complete treatment solution under one roof. According to Pain Management Clinics Las Vegas, migraine headache affects more than 25 million Americans impacting a whooping national economy of $20 billion annually that is manifested in the form of lost work hours and direct medical expenses. It originates in the brainstem and influences the central nervous system while causing pulsating pain that extends anywhere between 2 to 72 hours. This results in restriction in the ability to perform daily activities and hampers a normal life. Pain Management Clinic Los Angeles provides you choices to combat the pain with cutting edge treatments with highest success rates in medical history. If your headache persists for a long time, and if no medication seems to help, here are some approaches to consider. The procedure includes electronic sensors that monitor body functions (muscle tension, skin temperature, heart rate, and blood pressure). The data are fed back to the patient in the form of sounds and in some cases in the form computer images. This helps patients to adapt and control the pain arising from bodily responses. When thin needles are inserted under the skin on the affected sites in the body, the process not only bring range of motion and also encourages the flow of energy, thus preventing acute migraine and the frequent episodic or chronic tension-type headaches. Get a massage for temporary relief. Regular practice could actually help you feel better for a long time. Plus, it also helps you sleep better. 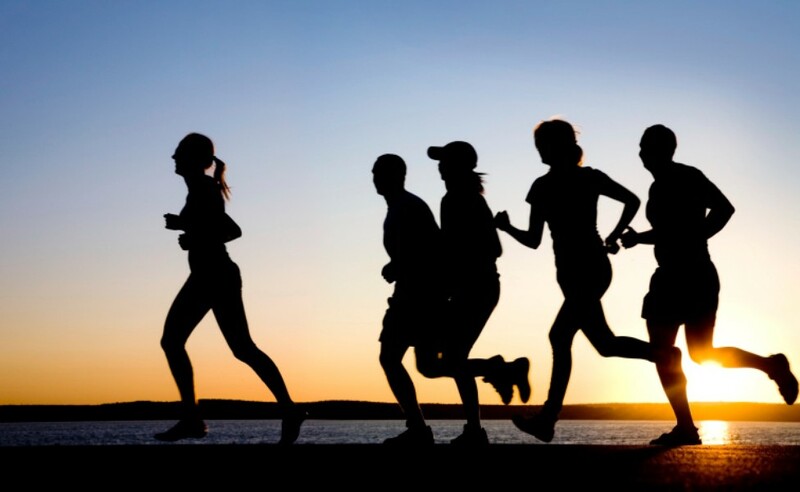 Regular exercise including brisk walking, biking, or swimming can help reduce the severity and intensity of migraine pain. Before you are on with your workout routine and after the session, take a moment to stretch your body thoroughly to avoid muscle tension and future injuries. One of the important ways to cope with headache is practicing meditation. As you perform, it quiets the mind from distractions arising from chronic pain. Spiritual meditation not only reduces the frequency of headache but also improves your resilience towards pain. Yes, yoga eases your aching head and brings balance to anxiety. It combines certain physical postures, breathing exercises, and mediation that boosts relaxation and brings tranquil to the mind, body and spirit. This results in zero or less frequent and painful attacks. Sit down in a quiet room, be comfortable and breathe deeply, and let the mind wander. As you continue with the technique, relaxing muscle groups, use a mental imagery of a beautiful scene (could be a beach or starry sky). This will help you unwind and get rid of headache too. Get a heating pad and apply it on the affected area. If it’s a pulsating headache apply ice bag on the site. As the temperature is raised and lowered, you can sense the feeling of relief. Make a habit of taking hot shower in the morning and before going to bed every day. Lastly, avoid headache headache-inducing substances including nitrites and nitrates, found in foods such as processed meats. The symptoms may vary from person to person and must be consulted with a doctor before starting any of the procedures mentioned above. Kyphoplasty is a minimally invasive treatment that rebuilds the vertebral space using orthopedic cement. The vertebral space may occur due to compression fracture and this treatment can help a person to stand erect again. Prior to kyphoplasty procedure, a balloon is inflated in the fracture to create an empty space. This helps in injecting more bone cement which is placed under lower pressure. Los Angeles pain management clinics are the best place where such treatments are conducted with precision. The aim of this procedure is to stop pain caused by spinal fracture and to restore the lost vertebral body height which occurs due to compression fracture. Who should go for Kyphoplasty? People with a deformed spine experiencing painful symptoms from recent compression fractures are advised by doctors to undergo kyphoplasty. California Pain Network, specializes in kyphoplasty to rectify the posture of a patient who has a bent spinal structure as a result of bone loss. Although, it is quite common among old people to bend forward with age, it may also be seen among younger people after an injury. Timely consult with family doctors can prevent permanent damage. How is the surgery conducted? As soon as the patient is awake, he/she is made to walk around and is discharged within a day or two. Later on, only physical therapy is required for strengthening of the spinal muscles. There is no need for pain medication anymore. California Pain Network conducts these surgeries on a regular basis and are trusted by many people. What are the benefits of Kyphoplasty? Another very important factor, which is ensured by Los Angeles pain management doctors right after surgery,is that this treatment prevents further fracture to the vertebrae. They say that by stabilizing the vertebrae, it prevents onset of severe spinal deformity. The Doctors are experts in conducting these surgeries. It works best for newly developed fracture but is also effective for old injuries. Pain Specialist gives you suggestion on procedures to follow while recovering from kyphoplasty. While pain relief may be immediate for certain patients, for others it may take a day or two. Normal daily routine and lifestyle can be followed by lifting of heavy weights and other such activities are better to avoid. Regular check-up post-surgery is recommended by the doctors to review their condition including medication to prevent bone loss. If you are one amongst those millions living with chronic pain, then there is good news for you. There are pain management clinics in Los Angeles that treat chronic pain and give you relief. There is a whole new range of sophisticated treatment methods available starting from the use of effective drugs to the use of electrical stimulation. There is a lot that is being done to keep chronic pain in control and the methods used vary from clinics to clinics and depends on the type and intensity of pain you are suffering from. However, at times, there is no cause of chronic pain and doctors are unable to find the origin of the pain. And this can be frustrating for both the doctors and the patients. In the past, people thought that chronic pain was more a physiological problem than physical pain. However, today’s pain managers understand how pain evolves and how the nervous system is affected and how the spinal cord interacts with the brain to create the sensation of pain. There are chemical messengers present in the neurotransmitter system that pass nerve signals and doctors and researchers can now manipulate these signals and give relief from pain by changing the way they interact with the brain. This involved the use of drugs like antidepressants etc. that affect specific chemicals present in the brain helping with the perception of pain. Today, there a whole range of medicines available those help get relief from all kinds of chronic pain. With the development of MRI imaging, researchers can easily see the real activities going inside the brain. And this has made the treatment easier. This is the first step for treating chronic pain and most doctors typically start by prescribing oral painkillers and anti inflammatory drugs that are non steroidal in nature. These help by reducing inflammation and swelling and giving relief. Finding the drugs that work for a patient’s chronic pain is often based on trial and error method. Often a combination of drugs is used unless the optimal result is attained. Anticonvulsants, antidepressants are often prescribed when the pain is severe. 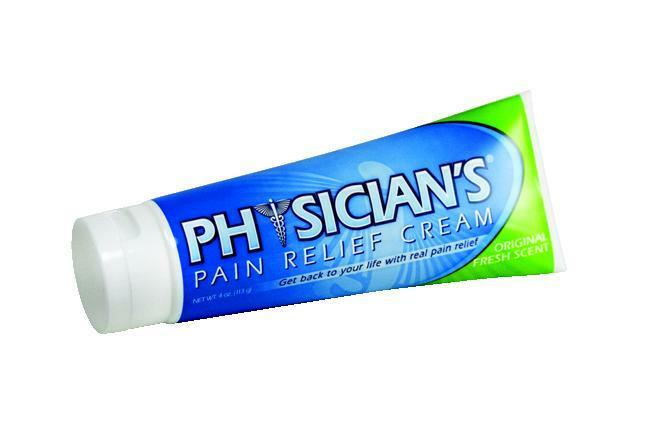 Topical application of creams that contain a compound called capsaicin is also another method of treating chronic pain. Capsaicin works by reducing the transmission of P a pain – relaying substance to the brain. Some of the other ingredients that you can look for include salicylate, eucalyptus oil, camphor etc. These work by reducing inflammation and or by causing the sensation of either heat or coolness at the pain site and giving relief. Skin patches are also used to get relief. Narcotic pain medicines are used by pain management specialists and elsewhere when the pain is extremely severe. The use of these is however controversial as there is risk of addiction with regular usage. Apart from medicines, a number of other pain management therapies are also used to get relief from chronic pain like chiropractic, massage therapy, platelet rich plasma therapy, stem cell procedures etc. Most of the time a combination of all these methods is used to treat chronic pain. What is an epidural blood patch? This is an injection of your own blood into your epidural. The epidural space into which the injection takes place is not your spinal cord but rather right outside of the sack of fluid which contains your spinal nerves. In some cases patients who have injections and other spinal column may require this procedure. A spinal tap, spinal injection, or the epidural received during labor are conditions under which this procedure is done. There are some cases where patients have a severe headache after these procedures which is typically a sign of a leak of your spinal fluid into this epidural space. The headache itself is not harmful to you but it can be very debilitating and if you experience this headache you can come to a clinic and get the blood patch. This blood patch will inject freshly drawn blood into the space to plug this week. This causes the pain to go away. In some cases this type of procedure is necessary after trauma like a motor vehicle accident. The actual injection of your blood takes a few minutes at the Los Angeles pain clinic. But you should allow approximately one and a half hours for the entire procedure to include the time it takes to sign any documents, position yourself in the room, and be observed by a nurse after the procedure. The area which is to be injected will receive a local anesthetic so that your skin is numbed. If you require additional sedatives they can be provided by a pain management doctor in Los Angeles. You will feel a small injection of local anesthetic using a small needle. This feels like a slight pinch after which you feel a slight burning sensation. But following this the skin will be numb and you will not feel more than a slight pressure at the injection site. If you want to have IV sedation or oral sedation these are both possible. How is this process completed? This process is typically completed with the patient lying on her stomach. Their oxygen and blood pressure will be monitored. The skin at the site of the injection will be cleaned using antiseptic solution. A small catheter will be placed into a vein and your pain management specialist in Los Angeles will place the epidural needle into the affected area after they have drawn blood from your vein. What can I expect after this procedure? Immediately after the procedure you might feel slight pressure in your back. This pressure is caused by the new dose of blood in the area. After the initial injection you should rest for 30 minutes. You should be able to stand after 30 minutes. Many patients at the clinic experience relief immediately and after a few hours your body will be able to replenish any of the lost spinal fluid and your headache should get better. 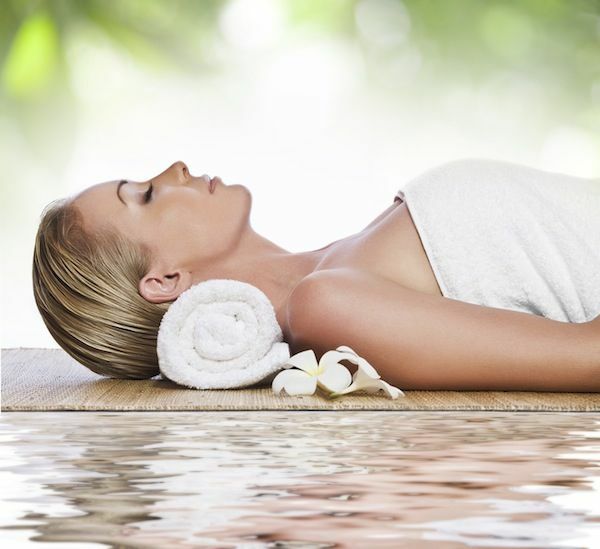 After the procedure it is advised that you take one or two days to relax and recover before you go back to work. Unless there are complications you can return to work after one day. Cellular disc injections are injections designed to heal painful discs in your back. This is a minimally invasive procedure performed by pain management doctors in Los Angeles which requires a simple injection into the affected area. The goal of this is to enhance your body’s healing mechanisms by injecting a combination of your bone marrow cells and plasma. Who should consider disc injection treatments? If you suffer from chronic lower back pain which does not respond to nonsurgical treatment methods you might be the perfect candidate for disc injections. People who suffer from things such as degenerative disc disease do not experience pain relief when they pursue aggressive medical treatment. Chronic pain can cause some people to even consider serious treatment options like spinal fusion surgery. But in some cases disc injection treatment maybe the best treatment option for you. How does disc injection treatment work? The tissues inside of your body rebuild on a regular basis. Your bone marrow plays an important role in this process. The cells created by your bone marrow are delivered through the bloodstream to the rest of your body. These cells have a transformative ability which means that they can with all other cells in your body. The discs located in your back are fibrous structures which contain a gelatin core. The disc contains very little blood flow and as a result if they become irritated it becomes difficult for your body to deliver cells and the healing substances from your bone marrow to this area. Lower back pain which is chronic in nature typically reflects upon this inability of your disks to properly heal. The use of disc injections by doctors harvest your bone marrow cells and inject them into the discs which are causing your pain. This procedure allows your disks the compounds necessary to regenerate and heal. What is done during this procedure? A small amount of your bone marrow is taken from the back of your pelvis by a pain management doctor after the area has been numb. This will be mixed with plasma in a centrifuge. An x-ray will be used during the procedure to guide the needle into the exact disc causing the problems. During this procedure you will be on your stomach and a local anesthetic will be provided. The area into which the injection will take place will be cleaned with an antiseptic. Once the x-ray has found the proper location the mixture of plasma and bone marrow stem cells will be injected into your disks by a Los Angeles pain management doctor. This procedure has been effectively used for many years now. Prior standard treatments which are proven ineffective have been combated with this particular treatment method. In many cases 80% of patients will see significant improvement in the amount of pain that they have. Are stem cells being injected? In essence yes but the stem cells which are injected into your disks are produced by your body and taken from your body. No other cells are harvested from any other person or embryo. This process takes approximately 1 to 2 hours in total. Platelet activation is a key part of the healing process for your wounds. By using platelet rich plasma, or PRP, part of your blood is taken and injected into the wound site to promote better healing of your tendons, joints, muscles, or ligaments. How long has this process been around? The use of PRP has been around as early as the 1990’s when injections of patients’ own blood were taken and used during surgery. The blood which is taken is injected into a centrifuge so that the white blood cells can be increased. Once this is done, the blood is mixed back into the patient so as to increase growth and repair damaged cells. The use of PRP is quite safe and several different clinical studies have demonstrated that using this treatment method to induce faster healing will improve function and decrease pain. Because PRP uses the blood of the patient there are very little reactions associated with the process, if any. What happens during the process? If you undergo PRP treatment, your blood will be taken with a needle and then injected, after it has been treated, into the problem area to induce healing. Immediately after the process patients need to rest and after this, they can enjoy progressive stretching and strengthening to improve the problem area which was healed. The lower back is made up of a number of bones, joints, muscles, nerves, and spinal discs which work together to support your body and allow you to move. The spine naturally forms an “S” shape and when it is in neutral alignment, it supports the rest of your body. It is important that you use proper posture while sitting and standing so that you can support the spine. Bad posture and injuries can result in back pain. There are different types of pain including acute pain and chronic pain. This pain may be severe and only come at random, or it may be mild and continual, or anything in between. Pain is your body’s way of telling you that something is wrong. The pain you experience could be the result of a back injury such as a slipped disc, sciatica, spondylolithesis, or Piriformis syndrome. If you are experiencing back pain there are many methods of treatment including heat, avoiding sustained postures, avoiding repetitive movements, avoiding heaving lifting, TENS, painkillers, and if those things don’t work: consulting a medical practitioner. There are of course ways in which you can avoid injury. You can watch for warning signs, stretch regularly, utilize good posture at all times, and integrate Pilates into your daily routine. In addition to that, you can utilize ergonomics while you sit at a desk or in a car, while you lift things, and while you are at a work station. All of this things combined can help you to treat existing back pain, recognize signs in the future of back pain, and take preventative measures to stay healthy. What is Lumbar Sympathetic Block? A Lumbar Sympathetic Block is an infusion found on the lower back, on the left or right side. The “lumbar sympathetic nerves” are a little nervous wreck that conveys “thoughtful” nerve signals from the lower furthest points. Certain injuries to the lower back can lead to burning, strange irritation known as complex provincial agony disorder or reflex thoughtful dystrophy. Taking proper measures on the lumbar nerves can help fight Lumbar Sympathetic Block regardless of whether this agony is conveyed by the sensory system. Why Prefer Lumbar Sympathetic Block? Lumber Sympathetic block is preferred since it helps figures out whether there is any harm caused to the nerve chain. It also determine if the pain is as a result of the damage. Ideally, this is considered to be a symptomatic test; however it may give help far in abundance of the length of time of an analgesic. The infusion hinders the Sympathetic Nerves which helps relieve pain, swelling, shading and the sweating will go away in the lower back thus increase flexibility. Also, Lumbar Sympathetic Block is used in treatment of Complex Regional Pain Syndrome (CRPS), Reflex Sympathetic Dystrophy Syndrome (RSDS), Sympathetic Maintained Pain, and Herpes Zoster (shingles). How is Lumbar Sympathetic Block performed? Lumbar Sympathetic Block procedures are normally done with you lying on your stomach. Your pulse and oxygenation will be checked. Notwithstanding your specialist and the x-beam professional, there will be a medical attendant in the room at all times in the event that you have any inquiries or inconvenience during the method. The skin on the back is cleaned with sterile arrangement and the procedure is done. For indicative purposes, simple analgesics are infused, in this case Bupivacaine or Ropivicaine. If the symptomatic infusion is successful in relieving the pain, different medications may be used for more enduring alleviation. It is hard to tell how long this will take. Blockage of the nerves can sometimes last forever. Repeated infusions can sometimes cause dynamic lessening of indications. Your specialist will examine identify this as soon as possible. After performing this procedure, the patient will notice a change with decreased pain which disappears with time. Several shortcoming and/or incidences of numbness may also be felt for a short period of time. How does Lumbar Sympathetic Block Relieve Pain? It is extremely hard to anticipate whether the injection(s) will undoubtedly be of great help to you or not. Those who suffer from pain and display the effects before schedule of this condition have a tendency to react better than the individuals with such treatment after around half a year of living with the symptoms. The victims in the advance treatment phase may not react satisfactorily. Are there Risks Associated with Lumber Sympathetic Block? Generally, the blockade has several risks. Therefore, just like other procedures, there are a few risks and symptoms you need to be aware of. Unusual experienced reactions are extreme pain from the infusion, infrequently unintentional cut of the “sack” containing spinal liquid, incidental infusion into veins around the spine, contamination, dying, nerve damage, or incidences of lack of alleviation from your standard pain. Well, whatever the risk, ensure you inform your doctor in case you experience the above affects..
Knee arthroscopy is a kind of keyhole surgery carried out on inside of your knee joint to discover symptoms such as, irritation or a harm. You may opt for treatment of knee arthroscopy where your physiotherapist may repair or remove any harmed tissue and ligament. Your physiotherapistmay take little tissue tests (biopsies), which can be used to analyze the situation and identify the main cause of knee arthroscopy. Arthroscopy is used to analyze several knee problems, such as, torn meniscus (kneecap), or repair ligaments in joint. Knee problems are accompanied by severe pain which patients must be aware of. Your recuperation time and visualization will rely upon the seriousness of the knee problem and the unpredictability of how long it may last. • Torn meniscus. Meniscus is defined as a ligament that pads the space found between the bones in the knee. It can be repaired through Surgery. • Swollen or injured covering of the joint. This coating is known as the synovium. • Misalignment of the kneecap. • A few fractures of the knee bones. How are Knee Arthroscopy Performed? Knee arthroscopy is generally performed under broad sedative, though it can be done under spinal anesthesia, or analgesic. During this procedure, antibacterial liquid is used to clean the skin on the affected joint. A small entry point, a couple of millimeters long, is made so thatthe arthroscope can be inserted. One or more extra cuts will also be made so that an examining test can be done and other fine surgical instruments can be inserted. The doctor may fill the joint with a clean liquid to extend it and make it easier for viewing. Doing so will help the doctor see the inside of your joint using aneyepiece.This present a good chance where the doctor will repair any harmed regions and remove any undesirable tissue. The doctor will further carry out more tests using arthroscope and, if necessary, remove or repair any areas affected with the help of surgical instruments embedded through the entry points. After the procedure, the arthroscope and any other instruments are removed, alongside any excess liquid from the joint. How do Knee arthroscopy Relieve Pain? The doctor recommends that you take your pain management medication at the onset ofpain. This will help relieve pain before it becomes acute. You may also prefer to have a nerve square, which is a pain reliever after surgery. Ensure you take the recommended medication to help relieve pain in the nerve. Are there Risks Associated with Knee arthroscopy? While knee arthroscopy is highly recommended for treatment of knee injuries, there are a few dangers that patients ought to be aware of. Upon undergoing the knee arthroscopy, patients may experience incidences such as swelling, solidness of the joint, dying, blood clusters, and other diseases that are effects of knee problem.All these should be reported to the doctor so that you can get the best advice on what to do.